This post is the first in a series of valuable information in order to prepare safety professionals and clients for the release of the new ISO 45001 standard for occupational health and safety management systems. Whether or not we’re ready, the new international standard for occupational health and safety management systems is coming. As safety professionals, our role is to be able to understand, communicate, and help our respective organizations implement this management system. Safety professionals who work in organizations where the ANSI/ASSE Z10 and OHSAS 18001 standards have been used for safety management system certification should be particularly aware of ISO 45001. While both standards are being used as key inputs to the new ISO 45001 standard; organizations will most likely have to address additional elements in order to comply. Although the release of the ISO 45001 standard is still months away, there is one thing that safety professionals can do in preparation. I don’t mean get engaged like that, I mean get involved. There are opportunities to help shape the forces that guide us; it is important to be proactive. ISO 45001 has just moved into the CD/2 (committee draft) phase of development. This means that as a safety professional (or an interested stakeholder), you can read the draft, and comment on what’s been developed. This is a consensus standard, and it will incorporate the expertise of safety professional all over the world. To read and comment on the draft standard, point your browser to the BSI Draft Review website and create an account. From the search window, type 45001. Take some time to familiarize yourself with the structure. There are similarities and differences (some of which we’ll address in upcoming blogs), when compared with Z10 and 18001. 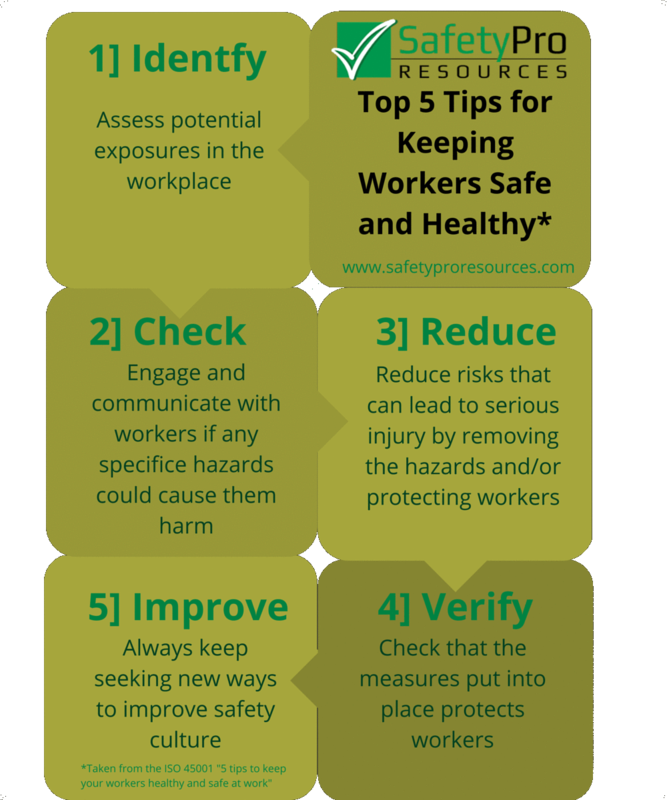 You can visit us on the web, or call 800.941.0714 for a free evaluation about how you can partner with SafetyPro Resources to address your organization’s safety challenges.